When it comes to woodwork projects, the quality will highly be influenced by the type of tools you use and how you use them. If you attempt to make cuts, but you are not stable, then the result may not be pleasant. The essence of finding the best router table is to make it easier for you to work. Whether you are a professional or a hobbyist, the table will give you great stability. All you need to do is attach the tool that you are using and work like a pro. Most professionals value routers since they have the capacity to make a wide range of cuts. In as much as the routers are incredible on their own, then make use of a table, you will be able to achieve consistent results at all times. It is important to note that there are so many router tables and each has its own unique qualities. Searching for the ideal table may be overwhelming since there are countless brands. If you are in search of one, then this is your lucky day, as you have come to the right place. We have devoted tons of hours reaching and testing different models and settled for the top 10. The reviews below will help you in choosing a table that will serve your needs effectively. Why Should You Buy a Router Table? When you have a router table, you will enjoy exceptional stability when you need to route any material. While the routers may be effective in this process, if you are looking for consistent results, then the table will be ideal. If you are into intense and complicated shaping projects, the table gives you an excellent support and the support to ensure that the work is completed in a short while. All the cuts that you make and the shapes that you may need will be accurate. The table will give you excellent precision, without compromising on your safety. The other reason is that with the table, your focus is primarily on the shape being molded. You will have both hands free as you do not need to hold the router in your hands. With the tables in place, there is a very low possibility of accidents happening as it enhances safety. These are just a few reasons as to why you should buy a table for your router. These tables have a way of giving you a combination of safety and precision. If you desire to do a great job, without compromising on your safety, it would advisable to get a good table. 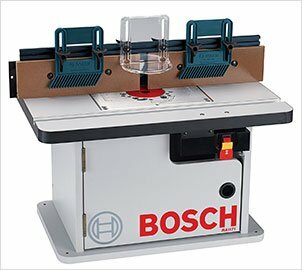 Bosch RA1171 is a unique router table, which has a compact size. However, do not be fooled by the size and assume that it is the most portable one, it weighs 42 pounds and as such, it may be best to use it from your workshop. The table comes with a mounting plate that is made of aluminum, which is durable and ensures that it will remain flat all through the process of routing. The key advantage of this models that it comes with pre-drilled holes allowing it to accommodate a good number of routers. There is a dual outlet on the back side of this table, which will allow you to power other tools. The locking power switch is strategically placed on the front side, so as to prevent any incidents and accidents. The aluminum fence comes with the adjustable faceplate that has a maximum opening of 3 3/16 inches, while the throat opening is 3 5/8 inches. This mounting workbench will be appreciated by both professionals as well as hobbyists, who desire high quality results in their woodwork, consistently. This model is well loaded with exceptional features and extras to enhance its functionality. For instance, there are 2 feather boards, which can easily be adjusted to be used on the miter track or fence. You will also get starter pins that you can use for round cuts and it comes with 2 dust collection ports. The cabinet style table is convenient as it gives you room to store some accessories and tools, safely. The cabinet also encompasses the dust collector, to ensure that it is not blown out. This is a good router table to consider. Cabinet styled model that is ideal for small workshops due to its small size. Has a tall aluminum fence, which has adjustable MDF plates to accommodate the taller work pieces. This is a unique model as it comes with 2 separate dust collection units, which can be connected to standard 2 ½ vacuum hoses, for dust extraction. It weighs 42 pounds, which is an ideal weight for moving around the workshop, but not for portable jobs. As a safety measure, it comes with a lock switch at the front to prevent accidents. On the back side, there is a dual power outlet that lets you connect other power tools. 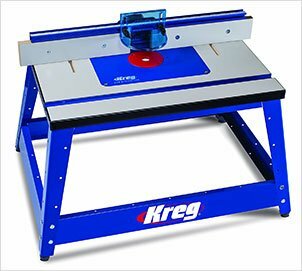 My other pick is the Kreg PRS2100 Benchtop table, which has a wide array of features, yet is affordable. It measures 16 by 24 inches and as such, it is a convenient model for small workshops. One of the things that I really loved about this table is the stability. Irrespective of how rigorous the activity is, the table remains sturdy enough to support all the work that you are doing. The MDF top is another great advantage as it gives you a flat working surface without any bumps. You can rest assured that with this model, you will get accurate results. There are a heavy duty steel stand and an aluminum fence, which are integral parts of this product. This is a definition of its durability as most parts are made of strong and durable materials. 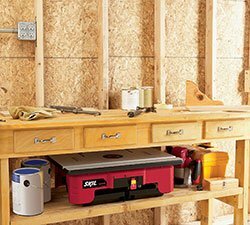 You will need just a few minutes to assemble and start using the table saw. The fence is also easy to adjust and as such, you can get to work in a very short period of time. This is a compact model, yet it is quite effective when it comes to the performance. If you are looking for a flashy model, then maybe this may not be ideal for you. However, if you need a portable and versatile router table, this would be a good option to invest in. The easy-slide surface makes the cutting and routing process quite easy and smooth. It comes with some of the essential components needed for a router plate that have plate levers. It also has a level lock reducing rings, which enhance its functionality. There is clear dust shield that ensures that you keep sight of the cutting, by containing the debris. If you need a portable, yet strong model, then this would be the best router table to buy. Portable table, which comes with a compact size, making it ideal for people who have small work areas. It has a high quality fence, which is easy to adjust and is made of aluminum, making it is strong and durable. There is a clear dust collection port that will help in controlling the sawdust and help you maintain focus on the cutting. The MDF top is useful and makes it easier for the workpieces to slide through to be shaped or routed. This is a stable model and has a heavy duty steel stand, with a wide stance. This increases the stability of the table. Who says that you need to spend a fortune for you to get a good router table? Well, The SKIL RAS900 has come to prove that you can actually get a budget model that will still serve the purpose. When you choose this model, it is usually pre-assembled and as such, you do not have to struggle to put it together; you can actually use it straight from the box. It has an MDF top, which is durable and makes it easier for one to handle the workpiece. There are two containers included as part of the package, where you can store accessories. It is one of the smaller models, but it is quite strong and sturdy enough to support all your routing tasks. There is only a slight hitch with the size that most users say attaching the router can be quite a tall order. However, this is something that can be overlooked, as long as you can get it right. This is a portable table and has so many features that you would ordinarily find on pricier models. The folding design is also another advantage as it makes it easier to store and transport it. There is a quick clamping system that will release your router fast and facilitates speedy bit change. There is a bit height gauge that ensures that you do not need to do any leveling. The tall fence has adjustable MDF faces that are incorporated. There is a starter pin that is included for some routine tasks. The overload protection and lockout key are some of the critical safety features that are on this router table. This is an ideal model for hobbyists, who are keen on accurate cuts but would want to save up on space. This product comes with two storage containers that are convenient for the storage of accessories. 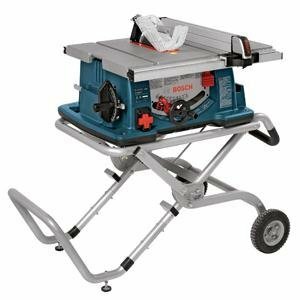 It has a folding design, which is ideal for those who have limited space or need to transport the table saw. It comes with a quick clamp system that will allow you to attach the router fast. The other advantage is the fact that is pre-assembled. There is a starter pin, two feather boards, which will support the process of routing your workpieces. The router mounting mechanism allows fast and easy bit changes and you will not be required to do any leveling. Kreg PRS1045 is another router table system that made it to my top five. This offers a great combination of adjustability and versatility. Setting up and using this table is quite easy and you will be able to transform your woodwork into the next level. This is a durable model as it has a heavy duty stand that is made of steel. The fence on this table is quite unique as it is T-styled, which is quite effective in helping you achieve total accuracy. 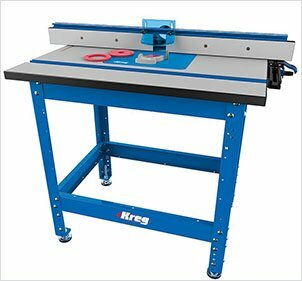 The Kreg PRS1045 is an ideal table for the larger workpieces as it has a work area of 24”x 32”. You will be able to enjoy making cuts and routing your stock. There is a large dust collection port that allows you to collect huge amounts of debris and as such, you will have the workspace clean most of the time. You can extract the dust from the collection unit using a standard vacuum hose. This is an ideal system to help use your router to make high quality cuts and shapes. 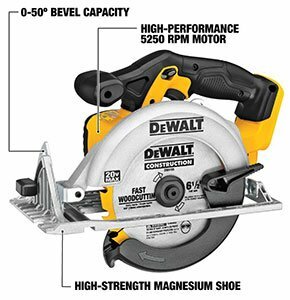 While the price seems to be somewhat high, you will enjoy every feature of the table saw. For instance, there is a height adjustment mechanism that will give you the convenience of routing at a comfortable level. The miter and T-track is a great combination that will see to it that the work process is smooth. As far as safety goes, this table has double feather boards that will ensure that there are no accidents. The stainless steel build makes it strong enough to be able to handle heavy materials. This is the best option if you need a router table that is stable and precise. This is a multipurpose table with an excellent fence system that will give you high quality cuts. The table is durable as it comes with a stainless steel stand, which is strong and sturdy enough to support different tasks. It is quite easy to assemble and use this table as it comes with an adjustable stand that you can customize for your use. 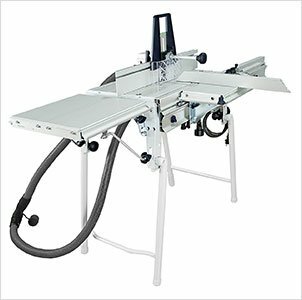 The high performance table top has a precision insert plate mechanism, which is one of the features that enhance the functionality of the table saw. There are dual feather boards that have been included on this router table, which are designed to provide safety when operating your router. This is one table set that I can confidently say was built for precision. There are so many versatile features that have been included in this model to ensure that you get the most out of your routing jobs. The features are designed in such a manner that you will be able to control the workpiece and not compromise on your safety. This solid construction is also quite impressive, making this to be a worthwhile investment. It comes with a surface that slides easily like glass so as to make it easier to control the workpiece. There are an exacting miter gauge and feather boards that are supported by hold-down options. As such, you can be sure that you will be able to get the precision that is required for routing tasks. You can have this in your workshop or choose to use it as a portable model that you can carry to different job sites. The beauty of the fences is that they can be adjusted independently as they have a precision micro adjustment feature. The Festool is built in such a manner that you can be sure it will serve you for a very long time. It comes with all the components that are required to make it work and provide the best results. This particular model works with OF 1010 and OF 1400 routers. The system has an effective dust guard unit that will capture all the chips and debris such that it remains clean for a long time. There are so many accessories that it carries including the starter pin, miter gauge, table extension and even comes with a dust extraction hose set. This is one of the best rated router tables that you will find on the market. The Festool system is an extremely portable system, giving the convenience of using it in the workshop of job site. Works effectively with the OF 1400 and OF 1010 routers to provide accurate routing. The table extension is a great feature when you have to handle larger pieces of stock. The easy sliding surface and the adjustability of the table system will make it easier for you to work and get optimal results. When working using this table, you will virtually have no debris or wood chips to worry about. This is attributable to the effective dust extractor. With so many brands on the market, one may get confused on which table to go for. Since we all have different needs, I have picked a number of things that you should bear in mind while shopping. Irrespective of your level of expertise, these pointers will be useful and help you in getting the best router table for the money. The starting point should be the surface of the table. You need to look for one that is truly flat and rigid. The surface should be flawless, without any bumps or any other unconventional issue. The surface of the table is what will determine the type of cuts that you will make using your router. MDF tops are ranked among the best options for these tables. This is, mainly, due to the fact that they are quite durable and strong. This means that you will have them serve you for a long time, which is ideal for your investment. 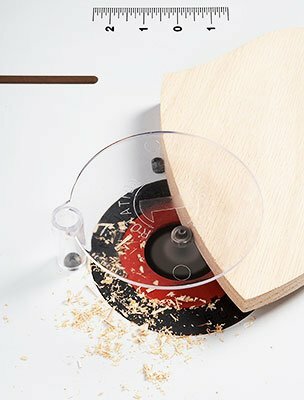 With an MDF top, you will not have to worry about vibrations from the router, when making cuts. The fence on the table is another critical thing to pay attention to. You will want a model that comes with a fence that you can adjust easily. This will save you so much time as you do not have to spend hours trying to align the fence to the router. While at it, you will need to consider if you want the 1-piece or 2-piece fence for the table. Your choice will determine the type of control that you will have when handling your workpiece. While you may assume that this is not a significant detail, when routing and cutting out shapes, you will produce a lot of dust and waste. In order to keep producing quality work, your visibility should not be inhibited and this is the critical role played by the dust collection port. Go for a model that has a seamless method of collecting the dust. It is worthwhile to consider the method of extracting the dust as well. These tables vary in terms of the price and as such, you need to have an idea of what you intend to spend. Most models will cost between $100 and $500 and as such, it is upon you to decide the type of investment that you are looking at. However, do not make the mistake of assuming that the more expensive models are the most effective ones. You need to look at what each model offers, before paying the price. Always ensure that you have safety gear when you working in your workshop. This means that you need to have dust masks, safety glasses and earplugs. Before starting the routing process, you need to make sure that the fence is properly set and adjusted. When feeding your stock to the router, you should do it from the right to the left. The bit should be fixed in the right position so as to prevent it from coming off when working. You should not make any adjustments while the table is still connected to the power source; unplug it completely. When guiding your stock, it is advisable to use push blocks so that you can have a safe distance between the bits and the hands. Make it a habit to take light cuts, if possible. In most cases, heavy cuts are known to cause kickback, which can cause serious injuries. Always ensure that the working area is not cluttered and it is clean. Use the feather boards to provide support for the workpiece against the fence or the router table. It is advisable to shape larger pieces of stock and then reduce their size afterward, instead of shaping small pieces. Ensure that you have a guard at all times when using the router table to prevent any accidents that may be unforeseen. There are so many other tips that are out there, and these are just but a few of them. Following these tips will help you route workpieces like a pro, without compromising on your safety. You should not be too excited about the table saw and end up forgetting that safety comes first. Q: Is it necessary to use the starter pin? A: If you are working on non-linear boards, then using the starter pin is essential as it will make it easier for the board to get into the bit. However, it is important to note that most router tables have very little space. Q: How can I extend the lifespan of my router table? A: The materials that are used to make the table will determine its durability. You need to look for a strong table and one that has a flat top. As long as the top is truly flat, this will reduce vibrations and extend the lifespan of the table. 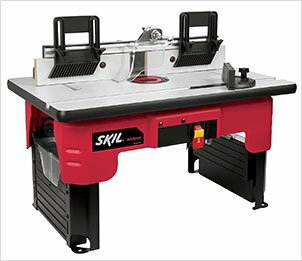 Q: How do I identify a router table that is compatible with my router? A: In most cases, the tables come with predrilled plates so as to make it easier for them to work with any router. However, it is important to consult the manufacturer to establish if the table will support the specific model of router that you have. Q: Can I use a raised panel bit in the table? A: Yes, you can, but this will depend on how wide the table is. In most cases, the tables are not wide enough to support the horizontally raised panel bits and in such cases, you should go for the vertical ones. 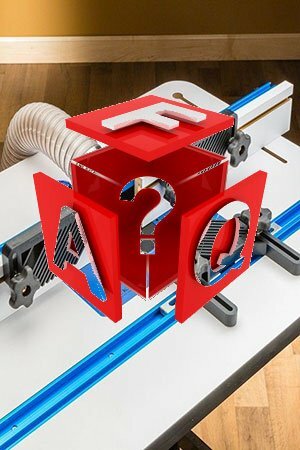 Q: Which router table will be suitable for my small studio? A: If you have limited space, you should look for compact tables. However, even in such cases, you should ensure that it has an adequate workspace. You look for models that are easy to fold and ones that can have the fence swiveled. If you have come this far, you must have gathered a whole lot of valuable information about router tables. Clearly, being able to pick the best model may be a daunting task, but if you want to achieve quality workmanship, you would need to make a decision. The main purpose of this guide is to create as much exposure as possible about these tables and make suggestions on some models that would serve the purpose. From the models that I have picked on this guide, I highly recommend the kreg prs2100 bench top router table as the best router table. With this table, you will be able to get accurate cuts and shapes consistently. Irrespective of the model that you end up picking, you should always be keen on your safety. If you have found this guide useful, please feel free to leave a comment and even share it with your friends and loved one.